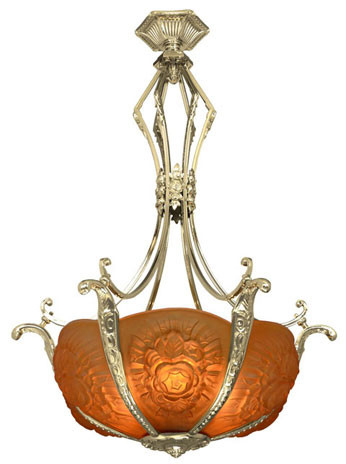 This is the most beautiful Art Nouveau fixture we have ever seen. We usually only reproduce American chandeliers, but when something is this wonderful, we make an exception. 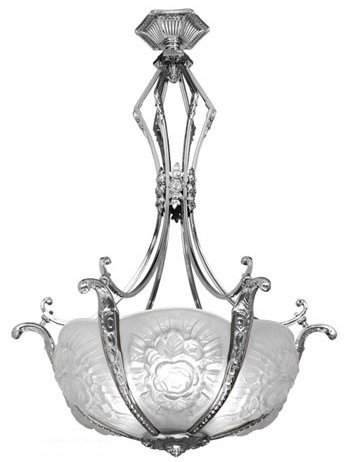 The fixture originally came from a great antique light made in France during the height of the Art Nouveau period, where except for Tiffany of New York, the very best Art Nouveau originated. 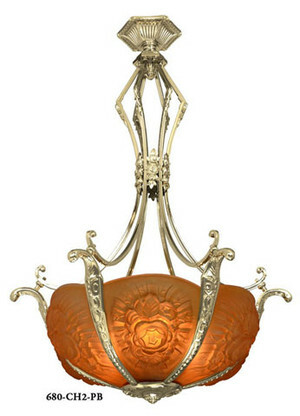 This lovely fixture has a Lost Wax Cast bowl and elements, carefully drawn period square tubing, and original thick cast shades in the manner of Daum Nancy. Simply beautiful! 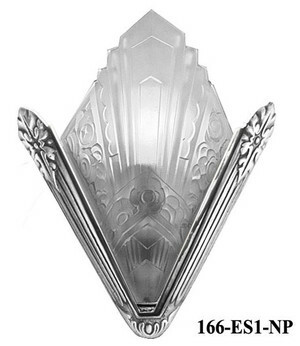 These 6 fine glass panels are heavy cast glass with traditional French designs. Panels are included with the chandelier. 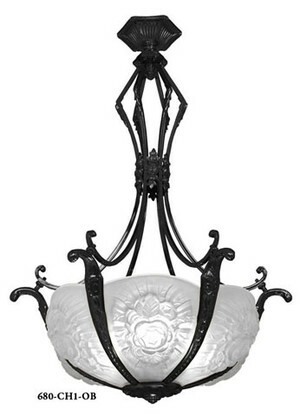 If you would like a longer drop, this light could be hung from a chain for longer drops. Please inquire. A shorter version of this light, pictured here also, is also available here. 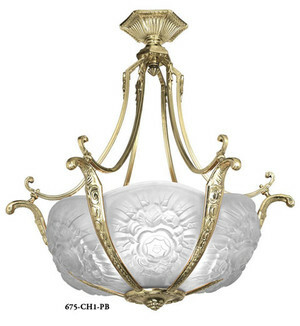 This lovely fixture comes in an unlacquered, polished brass finish, a nickel-plated finish, and an antique brass finish. 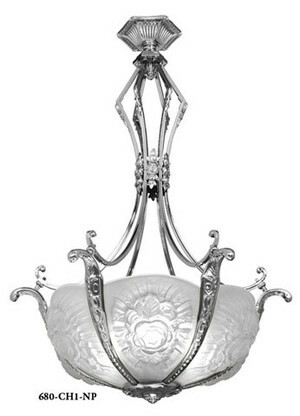 Choice of finish can be chosen using the drop down menu. Measures 38" tall and 26 1/2" wide. 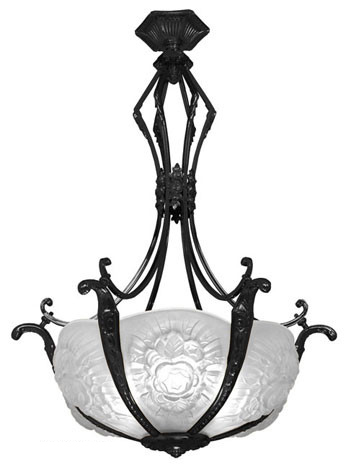 This fixture has 6 sockets, rated at 100 watts each.